Jungle Red Writers: Thanksgiving Disasters--Reds to the Rescue! HANK PHILLIPPI RYAN: Okay, Reds, you know we’d do anything for you. If you lived nearby, I would happily bring you some extra folding chairs, a lemon, some cinnamon, two eggs, an extra tablecloth, one more white candle...you know, all the little annoying things that you THINK you have but you’ve forgotten on Thanksgiving and there’s no way to get them. I’d be there. But since you live far away and your sister Reds and I can’t step in to help like that, I’ve put together (from scouring the internet and my experience) a sort of Thanksgiving emergency kit for you. Here’s why. 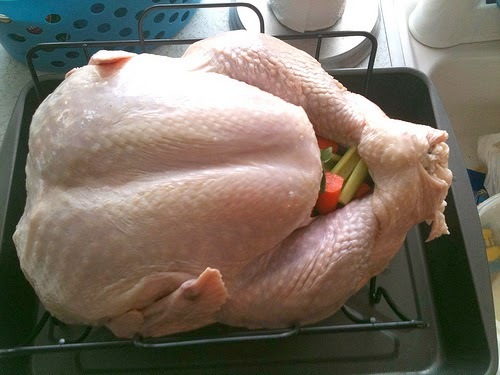 There was the time, I remember it all too well, when my turkey just WOULDN’T COOK. It had been in for HOURS, and should have been done. But it was all pink and yucky in the joints, and the juices were running red. Why why why? The over was on, the correct temperature, I had timed it for the correct weight, the pan was the right kind. WHY? I plied the guests with more appetizers, watched my Brussels sprouts soufflé rise—and FALL—and kept adding more butter and cream to the mashed potatoes. The Thanksgiving meal is fraught with possible such disasters. But here are some solutions! And then we want to hear from you. Oh, no, the soup (or whatever) is too salty! My Mom told me that adding a raw cut up potato would absorb the extra salt, but apparently they know now that doesn’t work. I’ve read that the only real way to give the salt the correct proportion is to add more of the other ingredients to the soup; in other words, make more soup. And add more of everything except salt. Oh, no, the turkey is still frozen! Oh, no, which eggs are hard-boiled? Which are too old? Spin them! The hardboiled ones will spin. And too-old eggs will float in a pan of water. Good eggs will sink. Did I sift this flour, or not? Experts say, when in doubt, sift. Yeesh, the vegetables are overcooked! Make it a feature! Do a creamed vegetable soup by combining the mushy vegetables with fresh cream and spices in a food processor. You could make a casserole with cheese and breadcrumbs on top. Puree them! 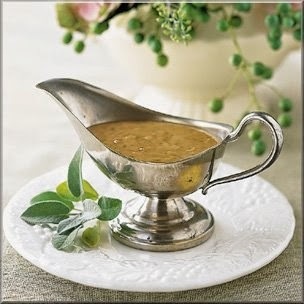 Pureed vegetables–add cream and butter and seasonings—are very chic. IF you have wrecked the carrots or sweet potatoes, whip them together with raw eggs and pumpkin pie spices and bake. Voila. A souffle. Mush it through a sieve. The strainer will retain the chunky bits and leave you with super-silky gravy. The mashed potatoes are glommy! Spoon the potatoes into a casserole dish, sprinkle on some grated Parmesan and dot with butter. Bake, uncovered, at 325 degrees for 20 minutes, or until hot in the center. The cream will not whip! 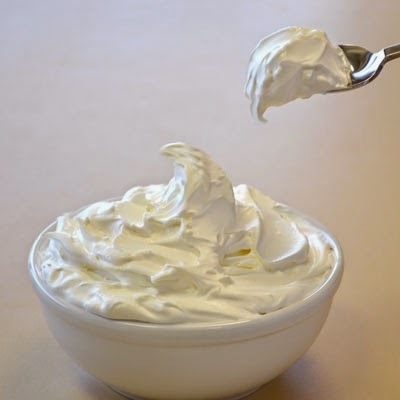 Put the whisk and the bowl with the cream in it into the refrigerator for 10 minutes. Remove the pan from the heat immediately. Don't stir. Place the bottom of the pan into a sink full of cold water to stop the cooking. Don't stir the sauce! Pour the top 3/4 of it into a new pan, leaving the burned part behind. Taste the sauce. It might still be okay. Sadly, if you detect any burned flavor, you'll have to throw it away and start over. Or just forget the sauce. The turkey is done too soon! Take it out of the oven and wrap it tightly in several layers of aluminum foil. Then wrap it in a big towel. The trick here is to let the turkey hold its temperature without letting it cook anymore. (If you have one, put it in a cooler.) When serving time comes carve and serve. The cake won't come out of the pan! Real Simple suggests saving your cake by popping the whole thing in a freezer. Let the cake come to room temperature, then cover it in plastic wrap and freeze it for 6 hours to a day. Remove it and run a butter knife around the sides. Then insert two forks at opposite ends and, using them as levers, nudge the cake upwards. Do this around all sides of the whole cake. Finally, invert your pan and tap one edge at a 45-degree angle on a board. There’s a disgusting layer of fat on the soup/gravy/whatever. Use a paper towel to soak it up. It works. Starting with one corner, the paper towel will just wick up the fat. Dairy can help here: add cream or butter to a too-spicy soup or sauce. Or, top over-spiced meats with a large dollop of plain Greek yogurt or sour cream, or even cream cheese! If you don’t want to change your spicy dish, add a mild ingredient, like cooked rice. The cake is gooey in the middle! Smashed it up and add whipped cream and fruit. Or chocolate sauce and nuts. Hurray, it’s pudding! Trifle! Chocolate surprise! HANK: And adding champagne to anything will work wonders. Dearest Reds, you all must have your own special emergency advice! What can you tell us? I always set the table ahead of time so I don't have to deal with it at the last minute. I think you've gotten most of the cooking emergency "fixes." I always have something tucked away in the refrigerator "just in case." Vegetable disaster? Out comes the salad stuff and the prepared-ahead casserole I can quickly heat up. Burned the rolls? I always have some tucked in the freezer for just such an emergency. Mostly, it always goes well, so I'm just thankful. Hope everyone has a wonderful Thanksgiving . . . .
1. Hank is right. Spin the eggs to find the hard boiled ones. The raw ones will land on the kitchen floor. 3. Lifting the turkey. Bake it on a turkey lifter. 4. My best: When I was young I invited my mother-in-law. She'd have dinner catered rather than eat my offering. I hear her now, yelling at me from... heaven. Love these, Hank. Thanks! I say pour more champagne into the guests and maybe they won't notice the mistakes. And otherwise, remember you're lucky to have food at all. And a roof. And family and friends, so just eat the good parts and don't worry about the mistakes. Happy blessings day to all. Reine! I told you I didn't want to know... :-) And hey, I do put it on a turkey lifter. But yhen you have to get it OFF the lifter. And yes, Joan, backup rolls. Most definitely. And you know the famous Julia Child story--she always told about her Thanksgiving when she appeared at the ding pom door with the huge turkey on the platter --and DROPPED it! She said she panicked--then, figured out what to do. "No problem," she warbled as she scooped up the turkey. "I'll just go get the OTHER turkey!" Of course there was no such thing..she just slapped some parsley over the dropped one, and pretended like mad. And I can hear MY mother saying: "Parsley can hide a multitude of problems!" Hank, you're hysterical. great tips! And Reine too--love the m in law story! How about a tip for coming into the dining room and finding two cats lounging across the lace tablecloth, the china, and the silver?? OH, no...cats on the table! Scotch tape..and ignore it? Put out some extra table decorations to cover the cat hair. Spray everything with gold spray paint. My disaster usually involves forgetting to make something, so we end up with something like 3 pounds of uncooked green beans. This year I'm making butter biscuits and they'd better not burn. Hank, this list is hysterical. I've only ever had one kinda failure - my biscuits would not fluff, no matter what, they were like hockey pucks. And One year, for some reason, the turkey was pink a the joints. We just put it in back in the oven and baked the pink out. Dinner was a little delayed, but it worked. 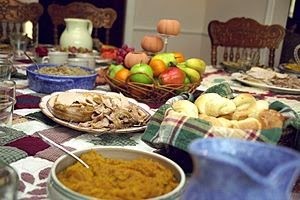 I've never had a Thanksgiving disaster that bothered me much. Probably because I hit the champagne at dawn, so nothing bothers me much all day! My secret to a successful holiday table: Iron 5 tablecloths. Layer them on your dining room table. This should last the entire holiday meal season. No family is messy enough to destroy 5 tablecloths. Hallie, Butter biscuits! According to a cookbook I happen to have here..."Do not over mix the dough"! Set a timer. Set two. Make bread crumbs. Oh, Mary, was it the famous baking powder/baking soda error? Ramona, I am in LOVE with the tablecloth idea. WHy is that always such a pain? And your solution is brilliant. Reine has it right-- make two turkeys. Make one of them the day before. My middle sister calls it "the insurance turkey." A local alternative exists here in Milwaukee if one is planning to eat mid-afternoon instead of at night: most of the grocery stores here are open until around 5:00 p.m. on Thanksgiving Day. At least one of them has a special on rotisserie chickens. Better than nothing. What do you do when you walk into the empty kitchen and the dog has managed to push a chair up to the counter where you left your pumpkin pies to cool, and is eagerly helping himself? It happened when I was in high school. I think my mother eventually forgave the dog. ha, ha Hank, gold spray paint! I'm sure I did the scotch tape thing and never said a word to my in-laws. Deb R, this sounds to me like it calls for pumpkin pie trifle. Cut the dog bite part off, layer the remaining pie and filling with lots of whipped cream--and keep the secret! A tiny bit of doggie saliva won't kill anyone:). We Reds should know! Exactly what I was going to say, Roberta! These are so great, Hank. And most have happened to me. Hank, you are such a hoot and full of great advice, too. Here's hoping that nobody has a Thanksgiving disaster with which to deal. Edith, you are so right that we all are lucky to have plenty of food to eat, a home in which to eat it, and family and friends with whom to share it. Oh, one note. You mentioned wrapping the turkey in aluminum foil and a towel to keep it warm. I have long used this method to take hot dishes to other family locations for meals. It works beautifully. Hank, no, it wasn't. Happened twice and the second time my husband double-checked the ingredients for me. I came to the conclusion that either recipe was bad, or I wasn't good at biscuits. I punted and baked Pepperidge Farm French rolls or Pillsbury frozen buttermilk biscuits. I figure I handmade so many other things, I deserved a break on the bred! 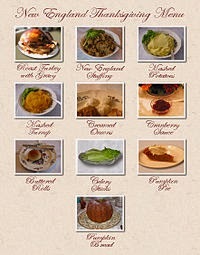 Just want to say that I have loved this week of Thanksgiving themes. And I can't wait until we all gather here tomorrow for our holiday. Oh Hank, thanks! As soon as I saw this I remembered what it was I couldn't remember (besides run to Nation's at 7:00 a.m. to get pies) - the turkey is now enjoying t's cold water bath. Ha ha, Hank, I love the Julia Child story. Always makes me laugh out loud. She knew how to live life, didn't she? Love the suggestions, especially "more champagne will cure just about anything." These are wonderful!!!! Who needs Heloise when we have or very own Hank!!! Champagne is always a good idea! Thanks Hank! There was the year I didn't notice the paper on the purchased pie crust . . . until we tried to cut the pie. Best advice, share the day with people who love you enough to ignore mistakes. Story from college friends . . . pet iguanas choose their "litter box" location and owners put down cardboard. There's chose the seldom-used dining room table, so he had to be on "iguana lookout" on Thanksgiving to prevent . . . untidiness. OTOH, the iguanas apparently once chase away burglars, so worth some extra vigilance on formal occasions. Iguanas on the table! Iguanas on the table! I am SPEECHLESS. Hint #5: If you have to buy a frozen pie to bake—not that I ever do—squish the crust all around the edges and mess up the middle a little, so it doesn't look like Marie Callendar made it. My mom used to dab a little flour on her face. VERY effective! Hank, I love your mom's trick of dabbing a little flour on her face! I can use that one. Thanks! Marry a someone who can bake yeast rolls. Even if everything else is a mess, hot yeasty rolls with butter will ALWAYS save the day.